John joined HITLAB as a senior fellow and has played a crucial role in advising sponsors regarding best-practices for pursuing technology-enabled health innovations, helping digital health innovation teams overcome crucial barriers that add risk to their innovation strategies, and establishing ways for quickly verifying innovative healthcare ideas with evidence-based discipline. As Executive Director, John will continue in these efforts to ensure that HITLAB is growing in accordance with its mission to accelerate the diffusion of innovative and impactful digital health technologies. 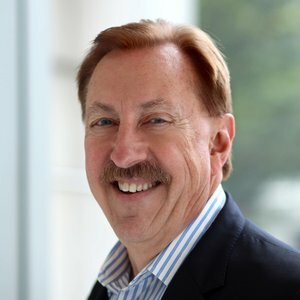 John Hammitt has four decades of global senior executive experience in general management, new business development, high-volume service operations, information technology and market strategy consulting. The most recent twenty years have been focused in the healthcare industry. John is currently serving as a senior executive in two early-stage healthcare companies, which he helped form, as well as providing leadership assistance to various religious and charitable organizations. John retired as a senior executive of Johnson & Johnson in September 2007. Beginning in 1997 and until retirement he served as President eJNJ L.L.C. Concurrently, beginning in 2004, he also served as J&J’s Global Vice President for Networking and Computing Services (NCS). Both of those companies being wholly-owned subsidiaries of Johnson & Johnson Services, Inc. Prior to joining Johnson & Johnson in 1997, John served over 18 years as the first corporate VP & CIO in three multi-billion dollar worldwide companies: United Technologies Corp. (1988-1991), The Pillsbury Co. (1983-1988) and Morton-Thiokol (1972-1983). John has a Chemical Engineering degree from the Illinois Institute of Technology and an M.B.A. with a dual concentration in Marketing and Finance from the University of Chicago.